This national reserve arguably offers the best hiking in the whole of Aysen. Some of the largest mountains in the Patagonian Andes can be found here, including a rather unique mountain shaped like a castle of stone and ice. Trek among the towering peaks, horse-ride in the steps of gauchos, and seek out the unexpected bright turquoise lagoon hidden within the range. Numerous trails weave around the park, but no matter which you choose, you're likely to have the path to yourself. Although its reputation as a trekking destination is growing, Cerro Castillo remains a hidden gem, where the trails are blissfully quiet. Start in Coyhaique or Cerro Castillo Village and take a day or join a multi-day trek where you'll camp among the peaks, waking up to the rocks bathed in pink and orange. Our favourite route is the Cerro Castillo Trail, a 45 km trail that takes 4-5 days to complete. You'll hike deep into the forest, crossing cool streams on foot and seeking out hanging glaciers. Keep an eye out for eagles and the elusive native Patagonian deer which make their home here. The people of Aysen are incredibly proud of their gaucho culture, and you can still explore the old mountain paths the way they were originally travelled, on horseback. Travelling this way means you can cover more ground and reach the truly undisturbed areas, where the forests, mountains and rivers stretch as far as you can see. You can even do a half-and-half trek, riding partway up the 1,600m climb towards the Cerro Castillo Lagoon before completing the last part of the ascent on foot. The Carretera Austral stretches all the way from Puerto Montt down to Villa O'Higgins, and passes through the Cerro Castillo National Reserve. This famous highway is mostly a dirt and gravel road, but offers some wonderful sights and scenery along the way. 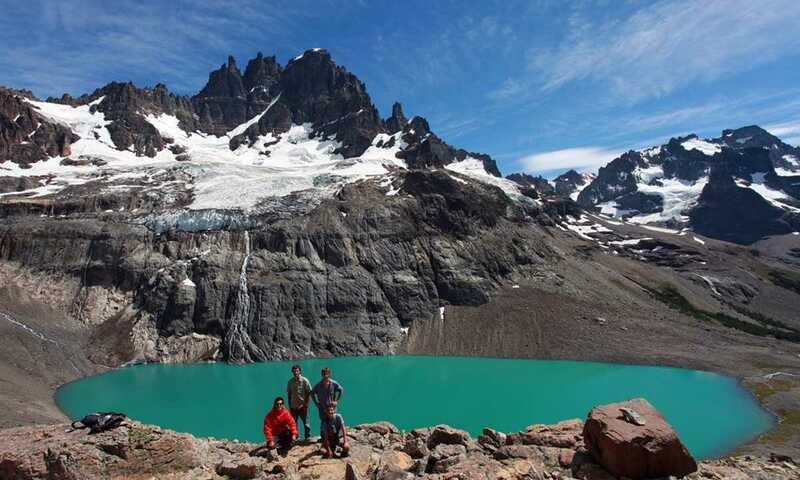 A great way to explore the Aysen Region, but make a stop off in the park to trek to Cerro Castillo. Admiring the hanging glaciers over an enormous, vertical rock wall, we climbed over scree around the lake towards a col and then steadily up a relatively gentle slope on ochre-coloured shale towards the southern shoulder of Cerro Castillo.